A voyage along the Danube River is like entering a fairytale. This 7-night Danube River cruise calls in at charming Austrian villages, takes you to stunning Salzburg and the Alps, and explores the wineries of the beautiful Wachau Valley, Visit Passau, Linz, Weissenkirchen and Krems. Tour beautiful Vienna. Be surprised at the impressive city that is Budapest. An optional 3 night tour of Prague is extremely popular and not to be missed. Along the way, be enamored by gorgeous castles and architectural sites that have garnered UNESCO World Heritage status. On expertly guided shore excursions learn the history of this remarkable area, while enjoying regional cuisine, wine, liqueurs and the famous Czech pilsner beer. Join your hosts, Heidi and Bo Barrett, on this elegant voyage down the Danube. Sample their best wines in contrast with regional vintages and cuisine. Special events are planned along the way! 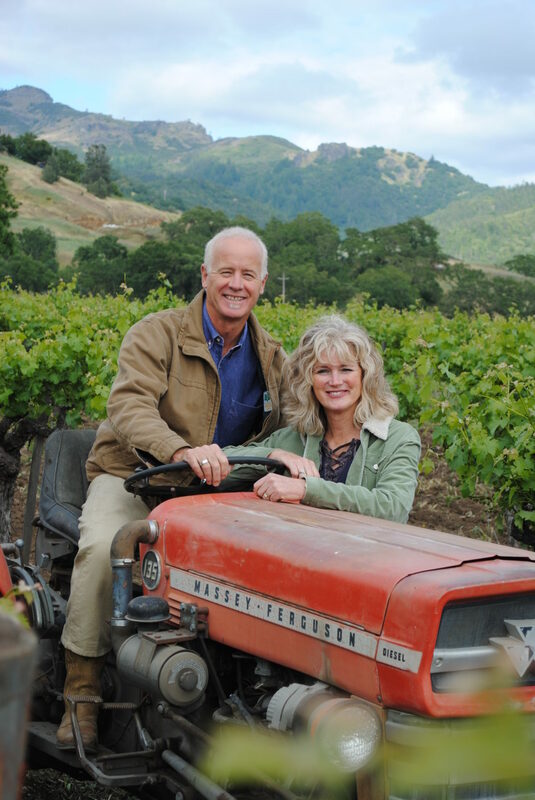 Since 1972, Bo Barrett, CEO and Master Winemaker, has been involved in every vintage from Chateau Montelena. His intimate knowledge of the Estate vineyard for more than 30 years provides him with a wealth of experience that allows him to “bring the vintage and the vineyard to your table in a wine that is elegant, balanced and enjoyable” year after year. The wines of Montelena grace the menus of the world’s best restaurants. Heidi Peterson Barrett, Winemaker/ Proprietress of La Sirena wines has been making wine in the Napa Valley for close to four decades. She grew up in the Napa Valley with a winemaker father and an artist mother, and was destined to become one of the world’s best known winemakers. Heidi has wide range of wine knowledge and experience having made for many well-known wineries. In addition to making La Sirena wines, she is currently the winemaker for 8 other brands. She and husband Bo have a joint venture Cabernet called Barrett & Barrett, which they started in 2008. Join Bo & Heidi on this voyage down the Danube, Europe’s most magnificent river with hillside vineyards first planted by the Romans, nearly 2,000 years ago. This is Europe’s most popular river cruise, visiting Vienna and Budapest and the stunning Austrian countryside. A special private post-cruise tour of Hungary’s Tokaj wine region and Budapest is also featured. Join us! Please note: This Romantic Austria Danube Cruise 2019 (hosted by Chateau Montelena) wine tasting tour is created by our tour operator, Expanding Horizons of Tustin, CA in conjunction with AmaWaterways. This is the most popular river cruise itinerary in Europe and will sell out. The pre and/or post-cruise tour program may contain private meals, tours and/or visits to attractions. These additional services are exclusive to guests on this cruise who book their reservations with Expanding Horizons. Persons booking with alternative travel agencies will not be included in these activities.